01 Dec Support Gladstone’s Special Olympians! 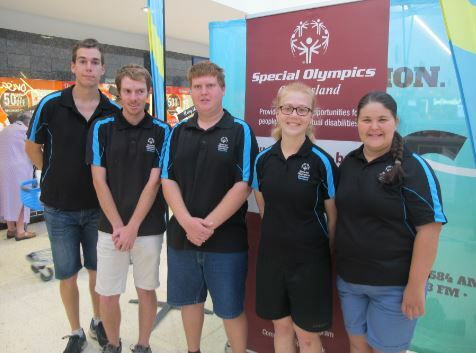 A crusade to give fundraising for our Special Olympians a boost was launched with a telethon and three-hour radio broadcast from Stockland Gladstone but they still have a little way to go before they attain their $38,000 team target. Surprised at the lack of publicity surrounding the eleven local athletes who have qualified for the Special Olympics National Championships in 2018, GRC Councillor Cindi Bush, Joanne Lewis from Stockland Gladstone and local media outlets organised the event to give their fundraising efforts a shot in the arm. “We provide them with the opportunities and the skills – and as they grow it provides a pathway so they can go into mainstream sport as well; previously they didn’t have a way to get into mainstream sport before this,” she said. “When Adam first started when we began in Gladstone back in 2011, he wouldn’t let go of my hand,” she said. Now he’s one of Gladstone’s team leaders alongside swimmer Ruby Lawler. “What we hear from the coaches is that they prefer to coach our athletes, they’re happy, they want to be there, they want to improve,” Deb said. 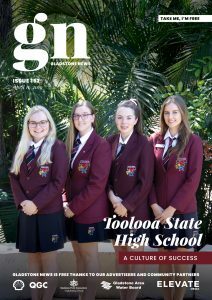 The next World Games will be held in Abu Dhabi and if our Gladstone stars are successful in Adelaide, that’s where they will be headed in March 2019. The World Games operate on a four-year cycle with a separate event for summer and winter sports. Athletes of all abilities can compete at the World Games if they meet the selection criteria.